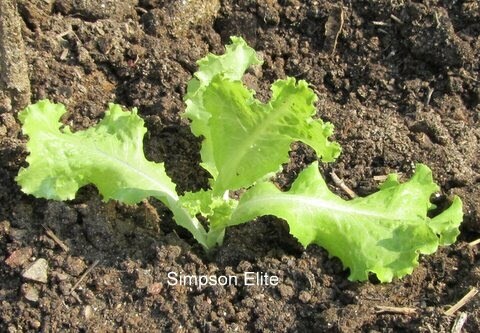 Too late to sow lettuce seed? Disaster struck four times in a week and a half—torrential downpours that wiped out all but six of the lettuce plants that had sprouted from seeds I planted July 30. To compensate, I drove over to Sharp’s at Waterford Farm in Brookeville and bought two market packs, six plants each of Red Romaine and Simpson Elite, which I transplanted into our garden. I felt better after buying the beautiful plants but still was a bit irritated that the downpours wiped out my own seedlings. 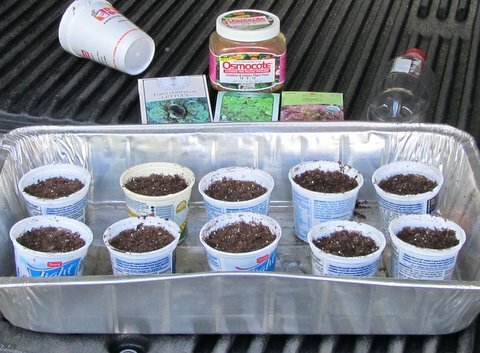 So on August 24 I got out my remaining lettuce seed and my seed planting paraphernalia and in short order planted three more lettuce varieties—Forellenschuss in two yoghurt cups and Simpsons Curled and Flame in four cups each. But was planting lettuce seeds on August 24 an exercise in futility? Simpsons Curled matures in 45 days, which will be October 8; Flame in 50, October 13; and Forellenschuss in 55, October 18. When will we have our first frost—October 5, 7, 15, 20? I cannot predict, but clearly my anticipated lettuce harvest is not a certainty. In addition to the number of days the young plants must have to grow to maturity, other factors include whether our early fall temperatures are “warm” or “cool” and how frost-resistant the three lettuce varieties are, as well as the exposure of the bed where I transplant them. When I arrived at Sharp’s at Waterford Farm to buy the two market packs, Denise Sharp and I exchanged greetings. During our short chat, Denise commented, “Our fall plants are almost gone. Our greenhouse was full just three weeks ago.” When I entered the greenhouse, I found three-quarters of the tables empty. That indicates to me that a lot of gardeners must be raising fall veggies. If you are one of them and have been sowing lettuce seed, what do you think about my August 24 sowing—OK, marginal, too late? And do you have a “tip” to share that lets you harvest fall lettuce through October, even into November? Share your gardening wisdom, please, by posting a Comment. My point of view is one doesn't have to wait for lettuce to “mature” in order to eat it. All those “baby leaf” salads in fancy restaurants… I guess you'd want to stick with loose-leaf types for the most part, but I will be sowing this weekend and next week and expect to get something edible to show for it. (Unless we have another downpour.) Row covers would help to protect the lettuce from both heat and cold. Ah, you're an optimist, Erica. I guess I am too, or I wouldn't have sown lettuce seeds last week. Maybe I'm just too lazy–not happy to harvest a few “baby leaves” and haven't gotten into row covers either. One of these years….